If i were to paint extra-virgin olive oils with a broad brush, I would say that Italian oils tend to be more grassy and peppery, French are buttery and fruity, and Spanish are a combination of the two: herbaceous , fruity, and a little spicy. Sicilian oils are the boldest of the bunch; many of you are already familiar with Olio Verde, which has the subtlety of a punch in the face. But as with all things, rules are meant to be broken. Nunzio Bastone grew up in Sicily, where he helped his grandfather harvest olives for oil. After a career in banking, he returned to his roots and bought a mill in Northern Sicily near Palermo. He presses the three varietals of olives separately (20% Nocellara, 20% Nocilla, and 60% Cerezuala) and blends them batch by batch for better flavor and texture. His oil is a knockout, sweet and almondy with artichokey-butteryness and tickle of black pepper in the finish. Its not a logical flavor profile for the region, and perhaps that’s why we love it so much. Do you ever get asked your favorite thing is, only for your mind to go blank? I get asked on a daily basis what is new and exciting at Great Ciao, only for the same thing to happen. With a warehouse full of fancy groceries, and new ones coming in every day, there is just no excuse for that. So this afternoon I went old school and walked through the warehouse with a whiteboard to brainstorm my top ten list of foods I’m excited about for September. As Minnesotans, we shouldn’t be so eager to usher in fall menus and pumpkin spice everything when we know the weather that lies ahead. 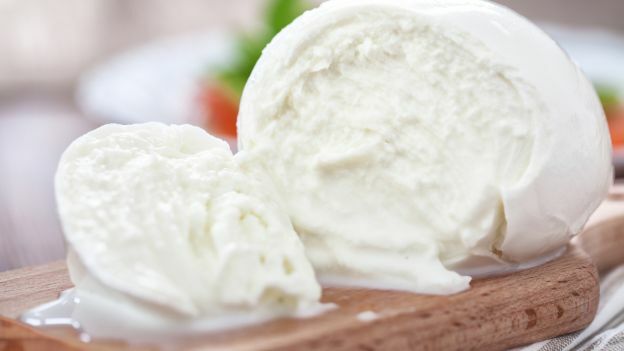 We still have plenty of delicious Mozzarella di Bufala, brought in direct by air-freight from Italy to the 612. While it may be pungent when tasted solo, Red Boat Fish Sauce is liquid gold, adding a big hit of meaty brothy umami flavor to every dish it touches. Founder Cuong Pham started a small factory on the tropical island of Phu Quac in 2006. When the fisherman return to the port, native black anchovies are cleaned, and packed in salt into tropical wood barrels. The tropical wood barrels impart a vivid fruity sweetness into the fish sauce and soften its intensity. 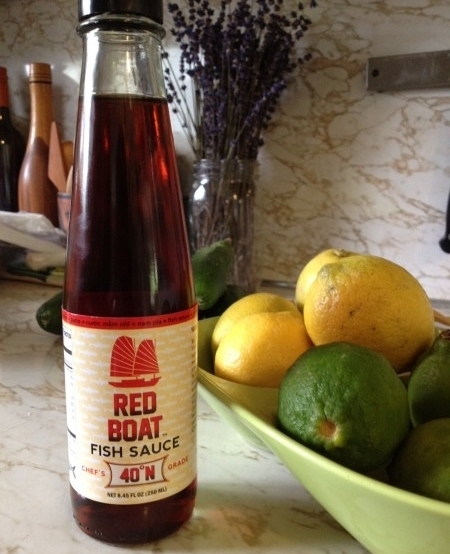 We have Red Boat Fish Sauce in both retail and foodservice sizes. These tasty chocolate bars just arrived from France, and they are one of our combined favorites. 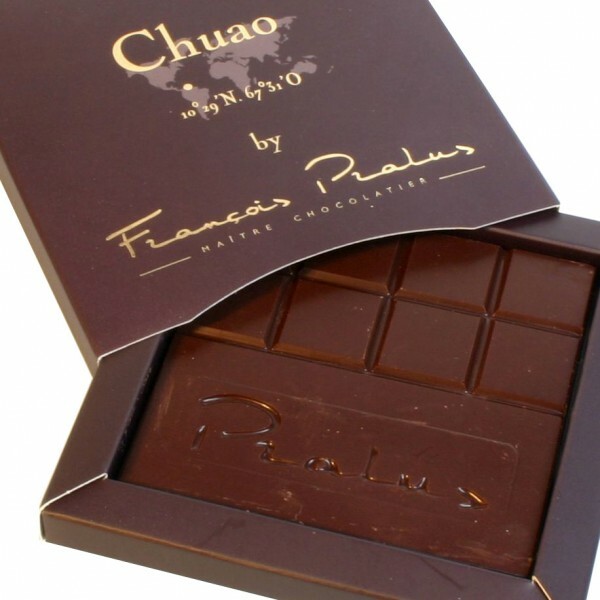 Chuao is one of Francois Pralus’ most esteemed bars, collected from a single plantation in Venezuala. We love it for its deep, earthy, cigar-tobacco-y, dried fruit and leather flavor and aroma. Most of the time we hoard it for ourselves, but we could also sell it to you if you ask nicely. This stuff is the magical fairy dust of the spice kingdom. 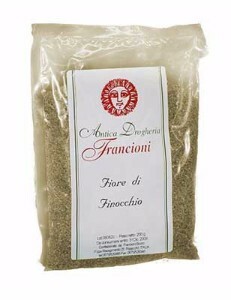 Wild fennel pollen is more floral, sweet, and fragrant than fresh fennel fronds. A little goes a long way, and now that the weather is cooling down (despite my protests) I’m excited to use it on roasted meats and root vegetables. I also love sprinkling fennel pollen over a slice of Bucheron goat cheese and a drizzle of Acacia honey for a simple but elegant cheese course. Who knew that canned tuna could be so irresistable? Answer: The Spanish, but they were probably keeping it to themselves. 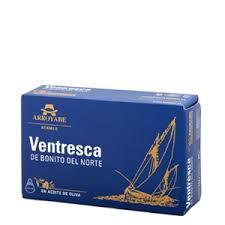 Ventresca is the belly cut of the small Bonito del Norte breed of Tuna that makes an annual run off the coast of the Adriatic Sea. The tender fillets are packed in olive oil, and deserve to be sprinkled with good salt and eaten straight out of the can. 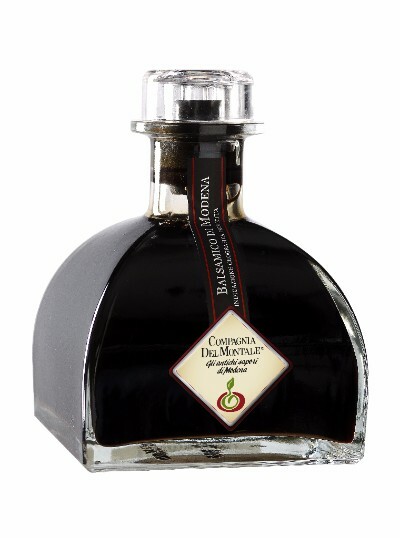 Three years ago, we set out to develop a signature balsamic with Compania del Montale, a small Acetorium in Modena. It took countless sample vials, tastings, and transatlantic journeys before we settled on a blend that was finished in Juniper barrels and had a luxurious velvety-thick texture. 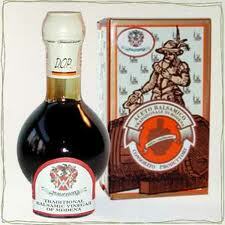 This is as good as you can get without breaking the bank for Balsamico Tradizionale di Modena. We have it in both 500ml. foodservice bottles, and in the pretty 250 ml. bottle you see pictured. Two vinegars in a row? Well, you can never have enough good vinegar in your arsenal. 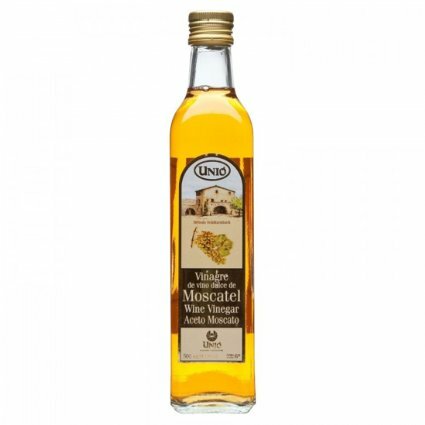 Made from Spanish Moscatel grapes, this vinegar has a crisp acidic backbone balanced by candied lemon sweetness, all at once aromatic and complex with lively overtones of melon and honey. Perfect for a vinaigrette, but sweet enough to enjoy with soda water for a refreshing vinegar spritzer. One of the two classic beans used for cassoulet (the other being the more well known Tarbais bean) Soisson beans are much bigger, plumper, and practically beg to be infused with duck fat, sausage, and whatever other meaty tid-bits you can throw their way. 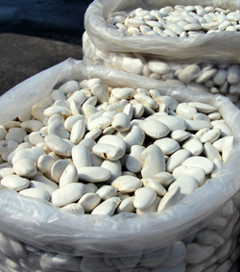 Soisson beans nearly double in size after soaking, and become rich and creamy once cooked. We are always looking to find the ingredients our customers request, and local honeycomb has been one of the hardest things to source given the state of our bee population in Minnesota. 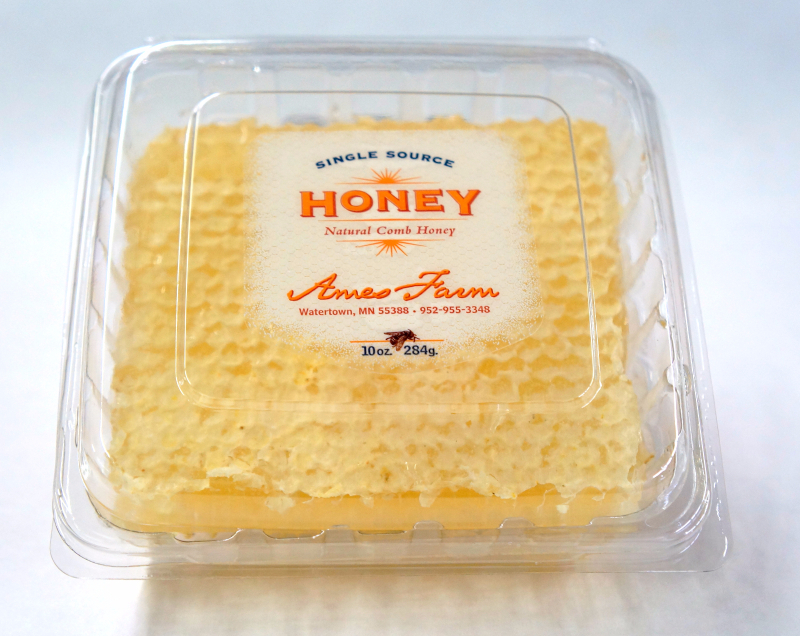 Fortunately, Brian at Ames Farm had an awesome year that exceeded his expectations, and we finally have delicious local honeycomb at your beckon call! Two new vinegars have us sipping and seasoning at the Great Ciao Warehouse. 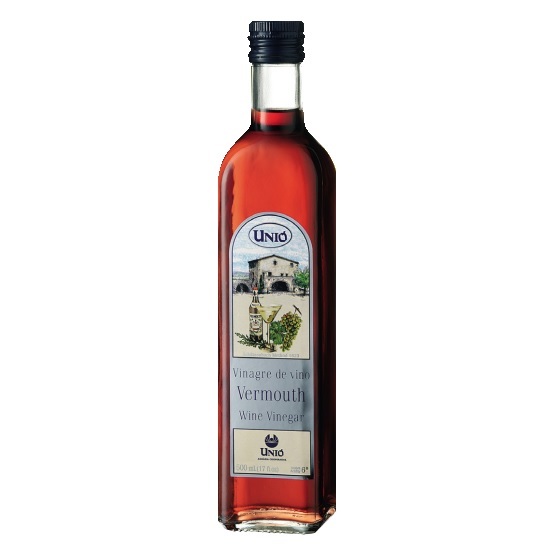 Both are from Unio, a vinegar producer in Tarragona, a port city in the Spanish region of Catalonia. Unio is notable for being one of the last producers to use the 150 year old Schutzenback method of cold, drip-fermentation. Wine is poured into the top of the barrel, which slowly trickles down through a porous central layer. As the acetified vinegar drips down into the lower chamber of the barrel, fresh wine is added to top off the barrel. The vinegar is removed using a spout at the bottom of the barrel. The acetification process takes several days, however Unio ages their vinegar for an additional 3-6 months in French Oak barrels. This slow process results in a vinegar that captures and retains many of the aromas and flavors of the original varietal grapes. Grapes: Macabeo and Parellada, Xarel-lo grapes, along with herbs and spices. Flavor profile: Dry and wine-y with notes of thyme and green apple. 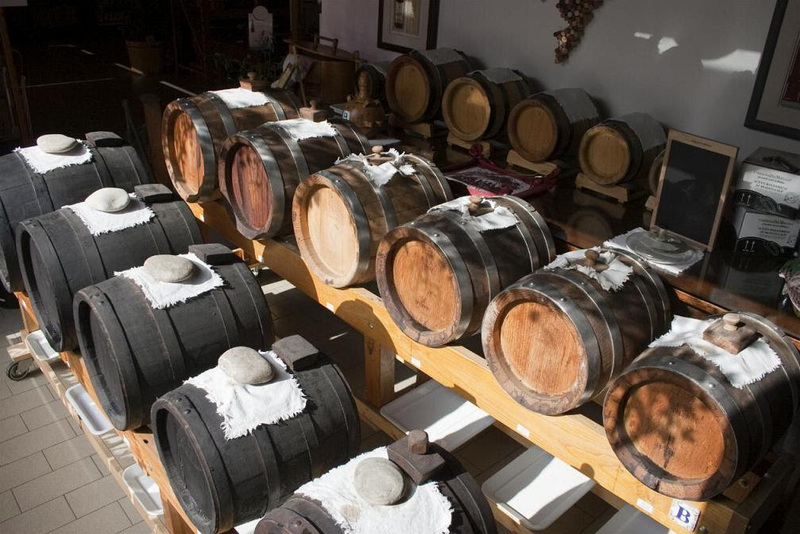 While its impossible to pin down an exact age on balsamic vinegar (some barrels can be aged for generations!) Our balsamic is made to the specifications of a ten year old vinegar. Set against the foothills of the Pyrenees Mountains and the craggy coast of the jewel-toned Mediterranean Ocean, sits the beautiful Languedoc town of Banyuls Sur Mer. As one of the southern most cities of a province that shares its border with Spain; Banyuls Sur Mer belongs to French Catalan country. For centuries Banyuls Sur Mer was known as a linchpin of criminal activity – a place where the illegal trade of smuggled goods between France and Spain was able to flourish. Today Banyuls Sur Mer is no longer known for its criminal past. Rather, most people associate the town with the sweet fortified wine of the same name. Banyuls Sur Mer can trace its winemaking origin to the Ancient Greeks, who planted grape vines in the shadow of the temple they built as a tribute to Venus. The first organized vineyard was planted in 1074, and much more recently, Banyuls Vin Doux became protected by the French AOC. Banyuls Vin Doux must contain at least 50%, and up to 75% Grenache grapes. Other grape varietals used are Carignan, Cinsault, and Syrah. The climate in the Languedocis arid, and the grapes “suffer” under the nearly three-hundred days per year of hot Mediterranean sunshine. Banyuls wine is produced using a French method called “mutage” which is similar to the method used tomakePort. Alcohol is added to the wine during the fermentation process in order to halt the yeast consumption while the sugar levels in the wine are still high. After the initial fermentation, the wine spends one year maturing in 60 liter oak barrels kept in cool stone cellars. After a year has passed, the wine is moved into larger stainless steel drums that are kept outside so that their flavor can be enhanced by the outside elements of humidity and temperature. The AOC stipulates that Banyuls wine must be aged for a minimum of thirty months. The alcohol content of a finished Banyuls Vin Doux is between 16 and 20%, the flavors are typically sweet and spicy with vanilla undertones. As much as we love wine at Great Ciao, we only sell its acetified product. And the AOC protected Vinaigre de Banyuls is truly a knockout. Only once the wine is ready, can the vinegar productions begin. The vinegar is acetified in oak barrels. The process of acetification takes between 4 to 6 months to run its course (as opposed in the week long process used to make industrial vinegars). 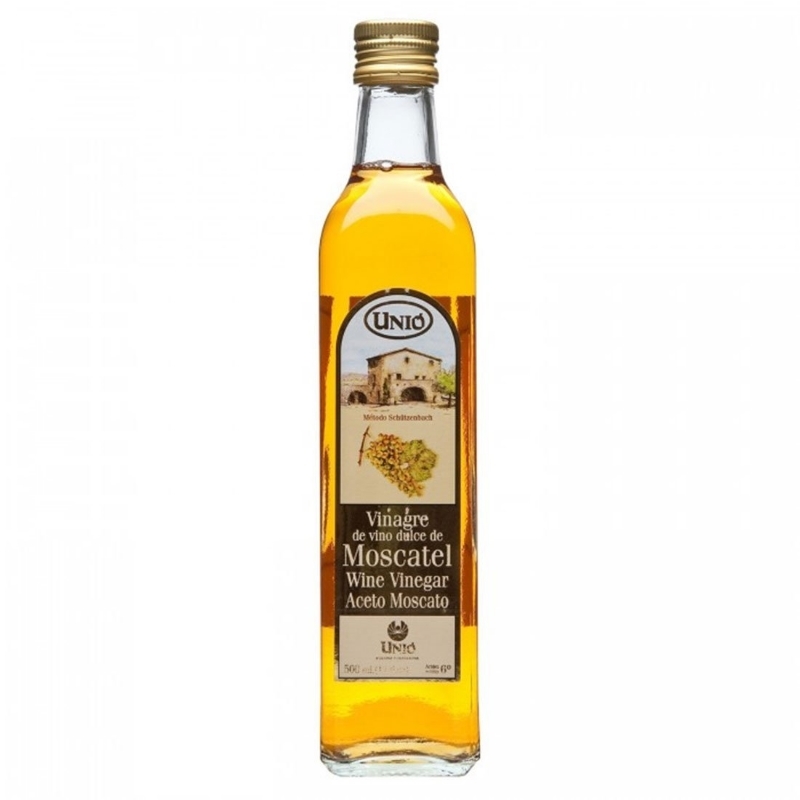 Once the alcohol has been completely transformed into acetic acid, the Vinegar is bottled, and sent to the Great Ciao warehouse, in Minneapolis. 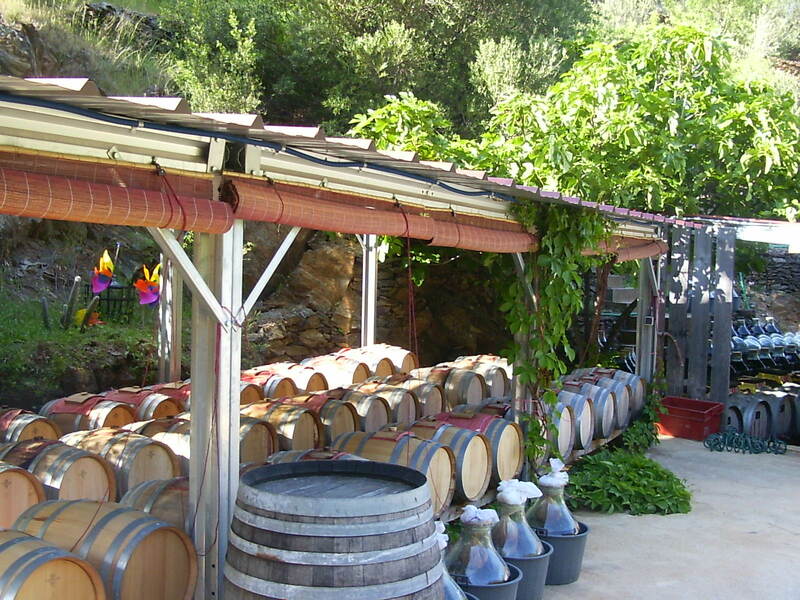 The Languedoc only produces around 10,000 bottles of their Banyuls Vinegar every year. So while its not likely to become the household name that Balsamic and Sherry vinegar have become, its still worth having at least a few bottles of the stuff on your store’s shelves, or in your kitchen’s pantry. After a lot of searching, the Banyuls vinegar we have settled on is hand-made by Nathalie Lefort. She produces Vinaigre de Banyuls at her tiny vinegar factory “La Guinelle”. The vinegar she produces has less than 6.5% acidity, and is available in both retail and food service sizes. We think it tastes like red berries, honey, perhaps even a little bit of gingerbread spice, and warm vanilla. It tastes delicious in a vinaigrette, or used to deglaze a pan after searing any sort of wild-game fowl, or fresh sardines! At the Great Ciao warehouse, we enjoy sipping it straight from a spoon. Families in Modena and Reggio Emilia really do start balsamic for their children when they are born. One producer we recently visited had two batteries in the front of the factory (Acetaia) of brand new barrels for the owner’s newborn children. As the story goes, balsamic is started for the children to enjoy when their parents have passed away. The vinegar evaporates over time, as it passes through each barrel or each of life’s chapters, with a portion going to the angels. 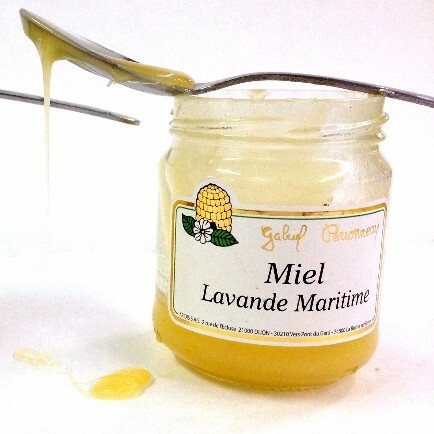 It is a beautiful creation myth for a product that is amazingly rich in flavor and history. People correctly wax rhapsodic when they describe balsamic. Some describe balsamic as tasting of dried cherries or stewed cherries, like raisins or tobacco, with cedar or vanilla tones. All of these descriptions are valid, but the most accurate description is that it tastes of time. Whether you enjoy a 12 year balsamic, or one that has aged for 50 years is a matter of preference. However, there is a great deal of difference between an artisan produced Balsamic, and the industrial product. Most industrial vinegars are cooked too aggressively and adjusted with caramel coloring. sugar and red wine vinegar. 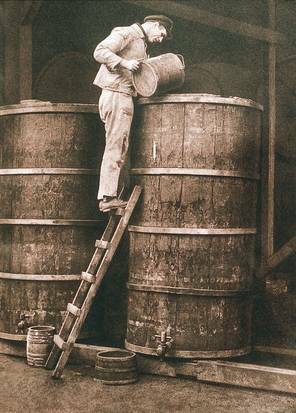 In the best possible scenario, vinegar will be slowly aged in barrels to create something that inspires emotions and eludes description. When it comes to artisanally produced balsamic vinegar, each bottle has its own story. True balsamic (PDO), Aceto Balsamico Tradizionale, can only be produced in Reggio Emilia or Modena and must be at least 12 years old. Tradizionale will only be found in a 100ml bottle with a pipette neck and a bulbous bottom. Balsamic is made from proprietary combinations of both the Lambrusco and Trebbiano grapes. This cooking process is very important. If the reduction is too fast, or the heat is too high, certain yeasts will be killed and the vinegar will not be able to achieve alcoholic and acetic fermentation. The battery- the series of barrels used to age and season the must. The must is cooked in open fields, over wood by virgins. The oldest producers never clean or repair their barrels; they build new barrels around the old wood. The vinegar marches along the battery, removing a percentage from each successive barrel, each season, touching each wood before being bottled..
Each producer determines the acidity and brix at the beginning of the process and then decides the best process for the vinegar. Some vinegar will stay in oak for two years and three in ash, some will never touch juniper. While the grapes are different each year a producer will try to make a consistent and identifiable product. Some years the grapes cooperate with perfect balance and other years they don’t. If the grapes are especially high in acid and low in sugar a producer might mix more old vinegar in to increase the sugar at the beginning of the process or vice versa. Ultimately, vinegar that is harmonious without any pronounced flavors is what makes superior vinegar. All of this is a process determined by a little science and a lot of tasting. We carry a number of excellent vinegars that are not true balsamic too. The Condimentos use the same process but are either too young to be Tradizionale or are not from Emilia-Romagna. We have Saba (mosto cotto) which is the cooked must that could have become balsamic, but decided to be a sweeter syrup. So if you are looking to stock the shelf with a beautiful Tradizionale to have with Parmesan or strawberries, or a Condimento for finishing a fine dressing, or even a Saba to drizzle over panna cotta we have plenty of tasty options. In the food world, January gives us a chance to catch our breath, to recover from the bacchanalian revelry of the holiday season. You may find your palate yearning to reject the richness of December, and replace it with foods of humbler origin. Bitter greens, legumes, farro, roasted root vegetables, and homemade stocks, soups and stews can get us through January. However, by mid-winter, when the displays of local seasonal food dwindle to potatoes and cabbage, it can be hard to resist the urge to pile-dive into a display of pinkish rock-hard Florida tomatoes. Thankfully, the beautiful novello harvest olive oils we received from Italy are the perfect antidote to Minnesota’s winter doldrums. 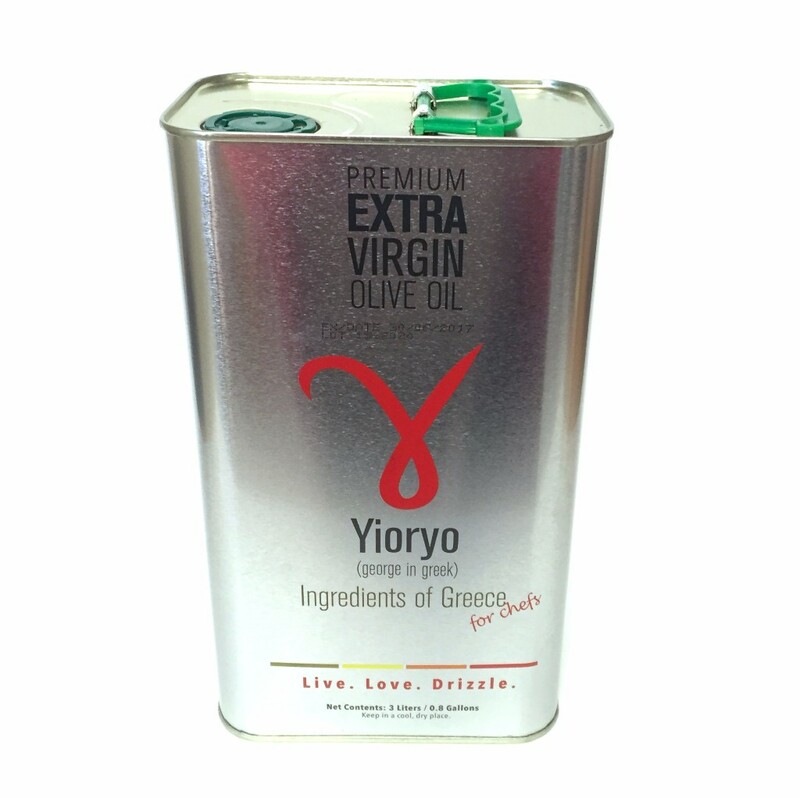 Novello (or in Spain: nuovo) extra virgin olive oils are a relatively new territory in the vast expanses of the American specialty food industry. Traditionally in Italy, olives are harvested in November, pressed immediately after, and held in stainless steel or terra cotta casks for a few months so that the oil has a chance to mellow, and the sediments a chance to settle. Novello oils skip the holding period, and go straight into bottles. The resulting oils can be neon green in color due to the olives’ high chlorophyll content. The flavors are wild, green, grassy, herbaceous, citrusy, and peppery, with a refreshing bitterness. 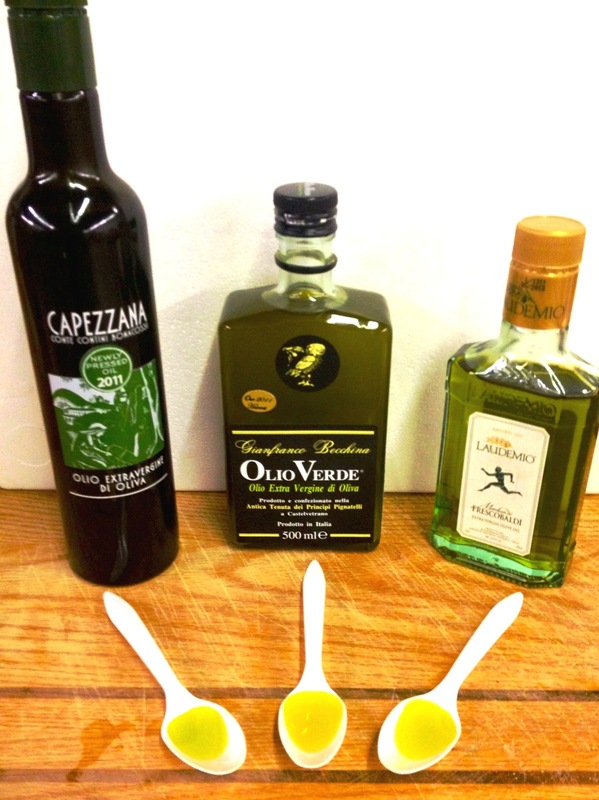 As cliché as it sounds, you can really taste the Mediterranean sunshine when you try these beautiful olive oils. This year we brought in three novello olives oils that represent the full flavor spectrum of their genre. Keep in mind that similar to wines, the flavor compounds in olive oils will continue to open up and develop once they’ve been exposed to oxygen. The oil you taste when you first crack open a bottle will be slightly different from when you taste the same bottle a few days later. It is also worth mentioning that we have very limited quantities of each of these oils. So grab ‘em while you still can! Fall is here and it is time to celebrate root vegetables, dried beans and hardy greens. We have some great items to accent all of those buried gems and brassicas. We have vinegars to help punctuate flavors and oils to ground them. A special new product, coming from Stony Brook Wholehearted Foods, of Geneva, NY has arrived just in time for fall. These oils are fall! Stony Brook produces a variety of unrefined squash seed oils. Some oils are a deep green color, and others are a deep golden color. They have remarkably different viscosities and flavors, from nutty and roasty with hints of vanilla to cinnamon sweet and spicy. Great Ciao is bringing in pumpkin, delicata, butternut and kabocha squash oils from Stony Brook (acorn squash soon). The oils are expeller pressed, which means that the oil is mechanically pressed from the squash seed without added heat or chemicals. Most commercially available cooking oils use a chemical process to extract oils from the seed. No other oils are added or blended in–each bottle is 100% pure seed oil. It takes approximately ten squash to produce a 6oz bottle. This product is a true success story for all academic agricultural outreach programs. Martin Farms in Brockport, NY is a large family owned vegetable farm. They developed a peeling and seeding squash program for local groceries and foodservice providers and had a nice value add to their business, but they had a tremendous amount of seed, too much for the compost heap and it seemed like a waste. So they brought the issue to the Cornell extension program, the Food Venture Center, and they were paired with the folks at Stony Brook. These oils are the fruit of that connection. Give us a call and give them a try! Fall is here and it is time to celebrate root vegetables, dried beans and hardy greens. We have some great items to accent all of those buried gems and brassicas. We have vinegars to help punctuate flavors and oils to ground those same dishes. If you are looking to finish your lentils with a sherry or beautiful Banyuls, chances are we’ve got one. If you want to drizzle some Balsamic on your roast squash or heighten the walnut aroma in a beet salad with our wonderful walnut vinegar, we have a few options. Also, we have a new product coming from Stony Brook Wholehearted Foods, of Geneva, NY. Stony Brook produces a variety of unrefined squash seed oils. Some oils are a deep green color, and others are a deep golden color. They have remarkably different viscosities and flavors, from nutty and roasty with hints of vanilla to cinnamon sweet and spicy. 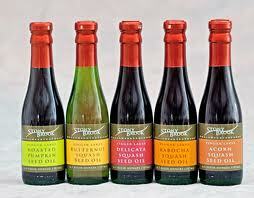 Great Ciao is bringing in pumpkin, delicata, butternut and kubocha squash oils from Stony Brook. They are fall!